Hi everyone! 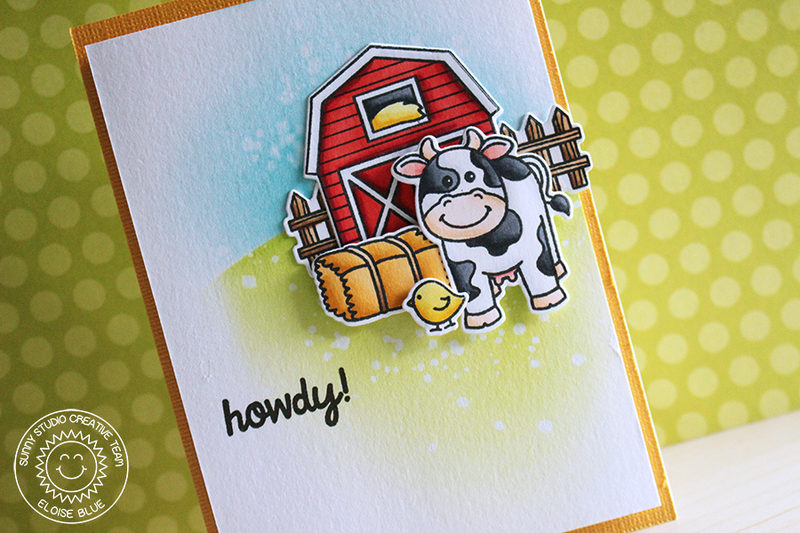 The other I was over on the Sunny Studio Stamps blog featuring a card using the new Barnyard Buddies stamp set! I hope you're all loving this new release as much as I am. Okay so, the Barnyard Buddies stamp set is so super adorable, I love farm themed sets - they're always so fun for scene cards! This is the card I made and you can read more about it over on the Sunny Studio Blog.